Fulfilling the role of a caregiver for a loved one with mesothelioma can be challenging anytime, but it’s especially difficult during the holiday season. Combining caregiver and typical holiday to-do lists is nearly impossible. The holiday season is also a time of with conflicting emotional expectations for those struggling with a mesothelioma diagnosis. Ideally, it’s a joyous and festive time of year filled with family or work celebrations and religious traditions. Yet, the reality is many of us feel overwhelmed with too much to buy, too many people to see and extraordinary personal expectations. Because caregivers already balance a range of emotions as they practically and emotionally support their loved one through mesothelioma, it is easy to see how they would feel especially overwhelmed during the holidays. But there are steps caregivers can take to enjoy the holidays while taking care of themselves and their loved ones. Taking a moment to reflect on previous holiday seasons may be more helpful than you think when it comes to handling the present holiday season. It may help you avoid stressful holiday “hot buttons” from the past, as well as create a plan for enjoying the kind of holiday season you’d like while managing your caregiving duties. Recognize that as a caregiver during the holidays, you and the loved one in your care may feel emotionally different this year. You may not wish or be able to do everything you did in previous holiday seasons. And that is OK. Choosing to let go of your own or other’s expectations of the ideal holiday season can be freeing. It’s the first step toward creating a holiday experience best suited to you and your loved ones. Feeling Overwhelmed During the Holidays? Join our monthly online support group for mesothelioma patients and caregivers. Reminding caregivers about the importance of taking care of themselves may become tiring, but these reminders will hopefully trigger caregivers to get plenty of rest, take their medications and devote time to exercise. Paying special attention to diet is most important this time of year because of the abundance of candy, cookies and other unhealthy snacks within reach. If we snack from the candy bowl or plate of holiday cookies, we won’t feel hungry later for a proper healthy meal. Caregivers can buy ready-to-serve deli platters for a holiday dinner instead of serving a homemade dish. A caregiver may want to shop online, saving the time and hassle of going to the mall. Many online stores will wrap and ship your gift directly to your loved one’s home. If you can’t shop online, ask family members to pick up a specific gift for you while they are out shopping. You can also scale back your holiday decorations or invite family over to let them decorate your home. 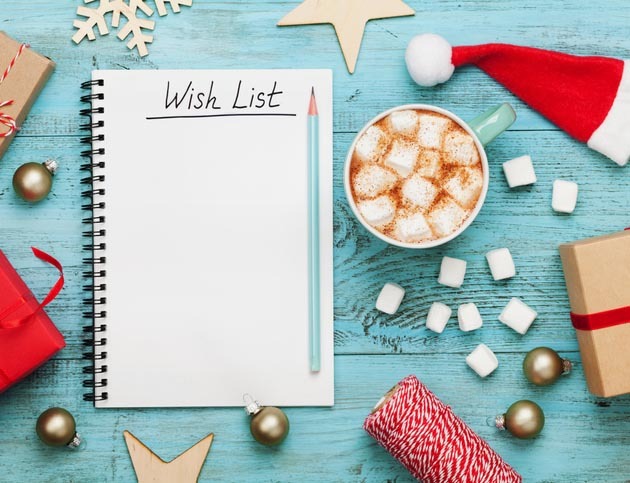 Unless you want to end up with more knick-knacks, gadgets or trinkets you don’t really need, make your own wish list. When someone asks what you want, let them choose something from that list. Traditions are a big part of the holidays for many people. But feeling pressure to take part in all of the holiday festivities as you did before may stress the caregiver and mesothelioma patient. Reflect on what traditions are most important to you and focus on those. Challenge your own or others expectations of how the holidays should be and realize that making some adjustments to traditions will help make this holiday season less stressful and more meaningful. Dana Nolan, MS, LMHC, is a licensed mental health counselor who leads The Mesothelioma Center's monthly support group. She specializes in working with individuals affected by cancer. Dana practices in Altamonte Springs, Fla.